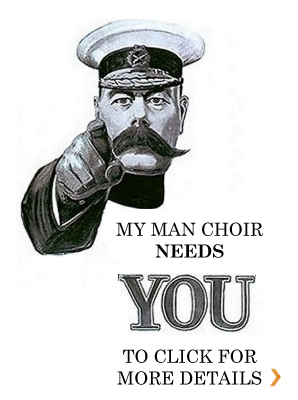 Man Choir is a bit different - perhaps to what you expect, if you've never sung in a male choir before - or perhaps to what you're used to, if you have. One of the things we sing is traditional Georgian music. That's Georgia in the Caucuses, not the period of history. (And not to be mistaken for Gregorian music, which is something entirely different). It's huge; proud; musically completely different to anything you've done before and amazing fun to sing. Then there's a world of madness of beautiful covers of songs you might just now. Some are poignant. Some are just daft. Everything from Radiohead to Wagner, not to mention interesting music from Africa, America and around the world. All are fantastic to sing. If you're looking for Barbershop or Bach, Oxford has you covered. If you're looking for something a bit different; something creative, challenging, fun, welcoming and supportive - we'd love to see you!